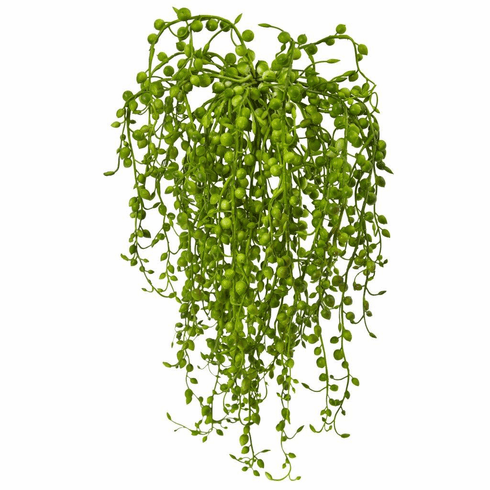 Senecio's succulent beautiful cascading green leaves add color and grace to any space. This set of three can add vibrant color to your space. It's an excellent option for apartments, small offices, or anywhere else that may be tight on space. Size: Height: 15 In., Width: 10 In., Depth: 2 In.